Williamson calls "centrifugal schooling,"expressing a vision of education and learning that is decentered, distributed, and dispersed,emphasizing networks and connections. In centrifugal schooling, a curriculum is actively assembledand improvised from a heterogeneous mix of people, groups, coalitions, and institutional structures.Participants in curriculum design and planning include local governments, corporations, foundations,charities, and nongovernmental organizations. Among the curriculum innovationsWilliamson examines are High Tech High, a charter school network in San Diego that integratestechnical and academic education; Opening Minds, a "competence-based" curriculum used in200 British secondary schools; and Quest to Learn, a "high school for digital kids" in NewYork City (with a sister school in Chicago). He also describes two major partnerships: thePartnership for 21st Century Skills, which advocates for "21st century readiness" forAmerican students; and the Whole Education Alliance in Britain, a network of "thirdsector" educational organizations. 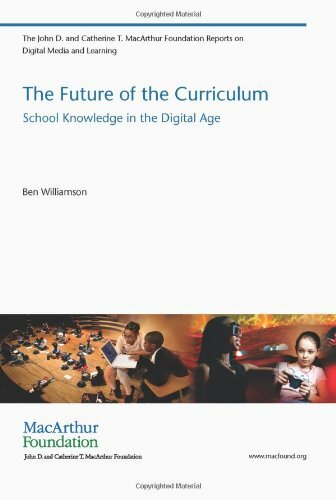 Conclusion: An (Un)official Curriculum of the Future?